Behold the odd tale of horror writer Howard Phillips Lovecraft, whose ghastly creations have terrorized readers for a century—and are now popping up in Facebook feeds. Who was he? Read on…if you dare. Nearly 80 years after his death, H. P. Lovecraft is considered one of the most influential horror writers of all time. Stephen King called him “the twentieth century’s greatest practitioner of the classic horror tale.” From 1917 until his death in 1937, Lovecraft wrote hundreds of poems, short stories, and essays. Among his best known works: At the Mountains of Madness and The Dunwich Horror. Even if you’ve never read Lovecraft, you may have seen one of his stories adapted into a cheesy horror movie (Reanimator, Splatterhouse, most Roger Corman films). References to his works have shown up in Batman, Alien, It, Hellboy, The Evil Dead, The Blair Witch Project, Buffy the Vampire Slayer, Monsters Inc., and Ghostbusters (to name a few), and in the lyrics of songs by Black Sabbath, Iron Maiden, Metallica, the Fall, Arctic Monkeys, and Blue Öyster Cult. Perhaps you’ve seen Lovecraft’s most famous creation: Cthulhu—the tentacled monster that has become a meme on the Internet, and adorns T-shirts, phone cases, and lunch boxes. There are even Cthulhu plushies. And yet Lovecraft died in poverty, almost unknown, never having published a single book in his lifetime. So how did the horror writer’s literary tentacles appear from beyond the grave to get such a grip on pop culture? It certainly wasn’t his writing skills. Unlike his more literary counterparts such as Edgar Allan Poe, Lovecraft is not celebrated for his cohesive plots or his three-dimensional characters. Many have criticized him for his long maze-like sentences filled with obscure words like “eldritch,” “rugose,” and “gibbous.” He wrote in old-fashioned prose (even for his time) because of his lifelong devotion to antiquity. Lovecraft pictured himself as a bewigged eighteenth-century English gentleman, and he wrote like one. The name Cthulhu, Lovecraft explained, was “a fumbling human attempt to catch the phonetics of an absolutely non-human word.” There is some debate about how Cthulhu should be pronounced, but since it’s an alien word, unpronounceable by humans, it doesn’t really matter. Lovecraft’s other lasting legacy: the “dreaded occult masterpiece” called the Necronomicon. Featured in many of his works, this ancient book is usually locked away and fiercely protected by nervous librarians. 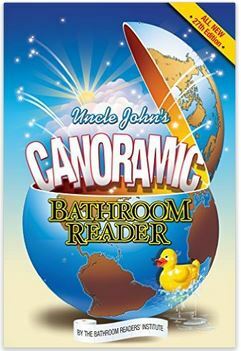 They are right to be cautious—the book is full of blasphemous incantations that if uttered aloud could open doors to other dimensions and let in all manner of creepy-crawlies. 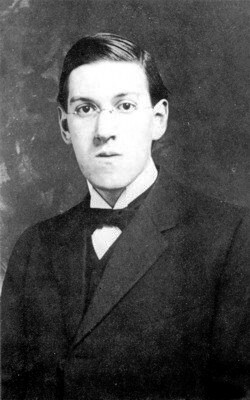 Apart from two years in Brooklyn, New York (which he found very unpleasant), Lovecraft spent his entire life in Providence, Rhode Island, where he was born in 1890. Most people think of Lovecraft as a “sickly recluse,” which isn’t quite accurate. He did have a broad circle of friends, mostly other writers. But he never actually met most of his friends in person—he corresponded with them in letters…a lot of letters. Estimates put it between 70,000 and 100,000. And they were much more than “Hey, how’s it going? Your pal, Howie.” His letters were often 40 or more double-sided pages, ranging in topics from philosophy, science, religion, writing, and the macabre, to amusing anecdotes about buying a suit or eating an ice-cream cone. In the midst of his bleakest financial woes, Lovecraft was known to go without food so he could afford postage. He was briefly married to a woman named Sonia Greene, but his odd habits and lack of income strained their marriage, and they soon parted. Lovecraft made almost no money from his fiction and supplemented his meager earnings by editing and ghostwriting. He died a sad, painful death, succumbing to intestinal cancer in 1937 at the age of 46. Lovecraft had no heirs. His closest living relative, an elderly aunt, inherited the rights to his work, and she died soon afterward. It was his literary friends—including his protégé, Robert Bloch, who would go on to write Psycho—who kept Lovecraft’s words alive by publishing his stories in anthologies. They were repaying his generosity. Though he never made a dime from it, Lovecraft had encouraged other writers to use his characters (like Cthulhu) and settings (like Arkham, a fictional city in Massachusetts featured in many Lovecraft stories) in their works. This separates Lovecraft from other fantasy franchises like Star Wars and The Lord of the Rings, which are closed off by their copyright owners. Because of that, Lovecraft’s fiction is still being expanded upon by countless writers today. So if you feel like dabbling in the Necronomicon yourself, have at it. Just be prepared for whatever indescribable horrors you may conjure up.